Bodybuilding starts with the attitude. 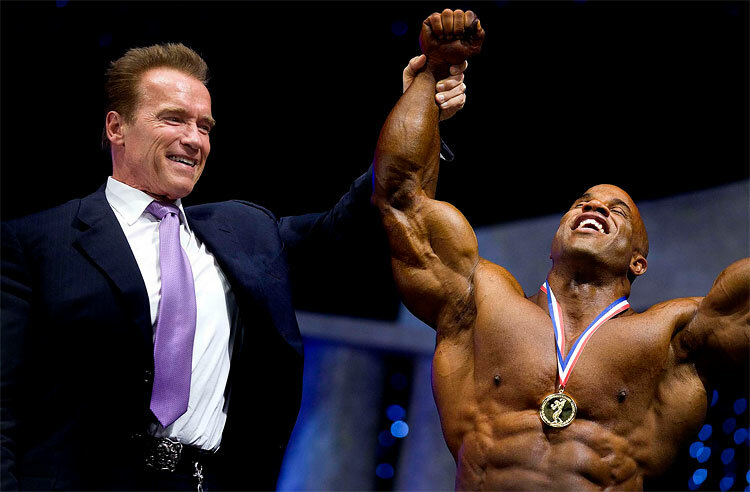 Any bodybuilding champion displays a very positive attitude in his or her attitude to all aspects of training. Attitude is what determines how effectively and regularly workouts are attended and how strictly the diet is adopted. If therefore your target is the champion’s podium, then you have to do something about your attitude. You should begin by learning how to approach every single workout with a very enthusiastic mood and positive mind. Your attitude should always be expectant of gains and growth. Expect a productive workout each day you hit the gym, better than you had yesterday. Let your mind know that training weights will feel lighter, the form will be maintained and the exercise will be easier. And then of course there is that factor of growth called pain. You must learn how to enjoy the muscle pain that accrues from maximal stimulation. This will help you embrace that pump being fully aware that each workout session promises gains, each rep brings you a step closer to the objectives and goals of training. Each rep of each set must be used to coerce and command your muscles to grow stronger, harder and bigger. Whenever you reach the gym, ensure that you leave all your doubts at the doorstep. Embrace a positive thinking and then nothing will hinder you from achieving the ultimate. Secondly, every bodybuilding champion worth the name has a very aggressive spirit. Successful bodybuilding goes beyond just lifting heavy weights. Champions and would be champions attack the weights aggressively; they threaten to tear the barbells apart. They are desperate to hit the max intensity, their diets and workouts are much more than routines, they are their very essence. These chosen few treat each rep of every set as if it is the very last they will ever perform. They lift as if to mean their lives’ on the line. You must also adopt a very aggressive spirit if you will ever step over the border and be a king. Treat the weights as if they are mock you. See them and read their claim that you cannot manage to lift as much. Retaliate to their mockery with such ferocity as is saved for the worst of all enemies. Psyche yourself to the max, yell if you have to, scream even, get pissed, and then reach out for the weights and bring that energy into every move. The third mark of a body builder who is at or is headed to the top is consistency. Champion body builders stick to plan, they stick to diets, they never miss a workout and they never compromise on their resolute determination to bulk up. Their daily schedules start form the bodybuilding perspective and not from the perspective of jobs, family or fun. Bodybuilding is the mandatory preoccupation from which everything else projects. That’s how they climb and keep at the top. That too, is what you have to do. Be consistent, build discipline, cultivate persistent and master patience. Then, you might also wear the belt. This entry was posted in Bodybuilding and tagged Muscle Building. Bookmark the permalink.